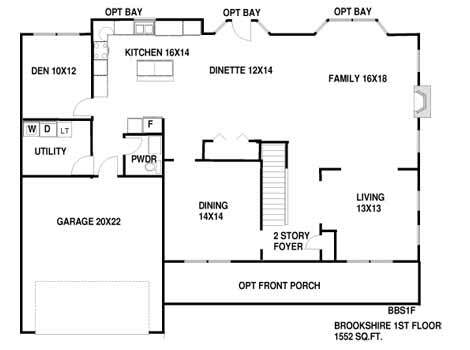 The Brookshire - from 2,800 Sq. Ft. 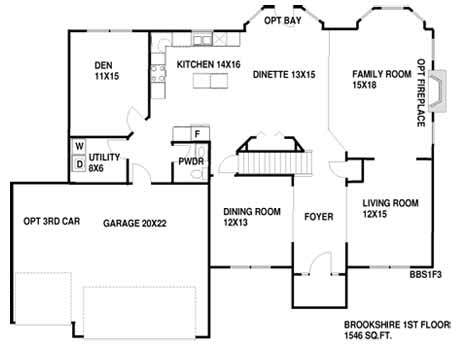 The Brookshire comes in a variety of configurations, and can be custom taylored to your families needs. 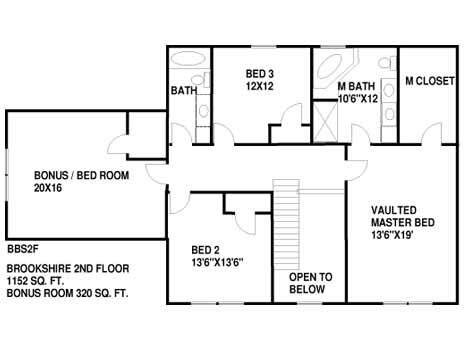 Select a floorplan from the list below to view. BBS1F - Brookshire 1st Floor - 1,552 sqft. 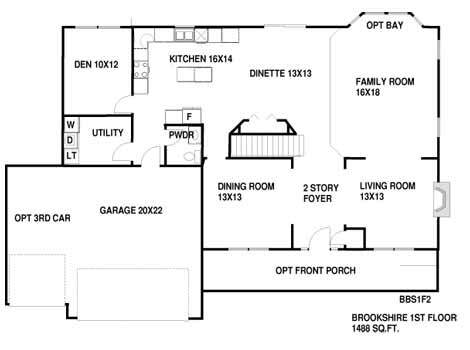 BBS1F2 - Brookshire 1st Floor - 1,488 sqft. BBS1F3 - Brookshire 1st Floor - 1,564 sqft. 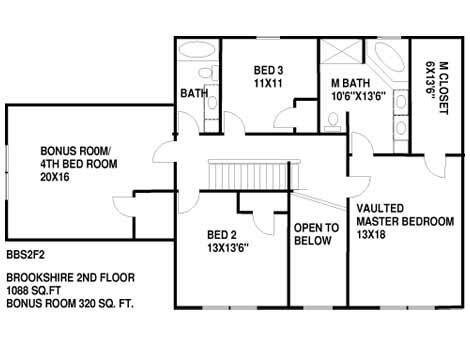 BBS2F - Brookshire 2nd Floor - 1,152 sqft. BBS2F2 - Brookshire 2nd Floor - 1,088 sqft. 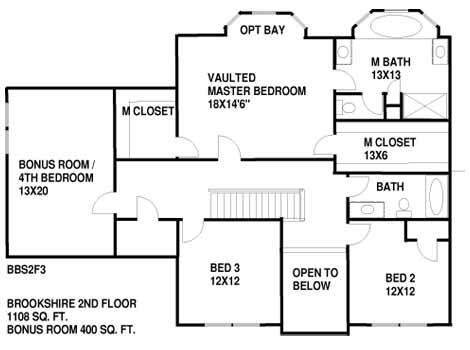 BBS2F3 - Brookshire 2nd Floor - 1,108 sqft.